The Morning Blend | Random ruminations from Brad Raney. Sometimes things surprise you. Sometimes you overthink potential opportunities and get lost in the details. Other times, you don’t really know what to expect so you keep your expectations in check, just hoping for a positive outcome. The story I want to relate to you today falls in that last category. Recently, I was contacted by a C-level business person who was planning a full day retreat for about 25 folks. We set up a time for me to do a client needs analysis with them to learn more about their specific needs. During the CNA with he and one of his business partners, we talked about several topics that could be included in a full day workshop, the potential day and time, and the investment level he had in mind – pretty typical discovery type material. He told me that folks would be coming from all over the state and from as far as Boston for the event. Sounded like an important semi-annual or annual gathering for the company and those types of events are one of my specialties. When I asked about the age ranges of the attendees, I got a surprising answer. He said their youngest attendee is 10 and the oldest in their mid 60’s. I have worked with a lot of millennial owned companies in the past couple of years, so if he had said the youngest age was 17 or 18, it wouldn’t have shocked me. When he said “10”, I doubled back on the question and asked “Did you say 10 years old?” He responded yes. Then I asked if this was a son or daughter of one of the attendees, and he said yes. I was driving during this discussion and at that point I nearly careened off the road into a ditch. I have spoken at family events before but it has always involved a light-hearted topic or a pure motivational discussion – these folks wanted deep dive business training for their family gathering…I was shocked…then I was frightened…then I was envious…and finally, after I got my emotions in check, I was intrigued. We finished our discussion, I sent them an outline of the day’s events, we worked through it a couple of times and the full day workshop was set. The retreat was this past weekend and I have to tell you, driving down to the location I was pretty nervous. I know how my 16 and 20 year old kids would react to me telling them that during our family vacation we were going to take 7-8 hours to learn new business related skills – believe me, it wouldn’t be positive! I couldn’t help but think about how difficult it was going to be to keep their attention during the four different modules that we were going to cover in the session. I was concerned that after lunch they would be nodding off or playing games on their phones and disrupting the entire process of the workshop. Worse, they could be ducking out of the room to go to the bathroom or go outside at the resort just to get away from me and “working” on a Saturday. This would make the parents uneasy and they would go after them and then I would look up and half the room could be gone at given any moment. The reality is that these folks are not a typical family. They have an incredible bond and respect amongst them. They all bought into the concept of a day of learning – so much so that all of the younger attendees (and there were about 10 of them) placed their cell phones in a box in the back of the room before each module began. No one got up to leave the room during the sessions – they were engaged during the interactive elements of the workshop – asked incredibly mature and pertinent questions – genuinely looked like they were enjoying the process – and at the end of the day they had great feedback to share with the group. One young man in high school stood up at the end of the day and said, “Well I just want everyone to know that I wasn’t sure what this was going to be about and that the day might be really boring. But after hearing Brad’s topics and message, I am really glad I was here today. I hope I can share some of this knowledge with my friends and maybe even teachers because this stuff was flat out awesome!” The whole room broke into applause – and I felt tears welling up in my eyes. I love what I do and I think I’m pretty good at it, but when that young man said what he did about the training and his reaction to it, I was humbled. This group opened my eyes to an incredible culture of support, a clear vision for the future of their family, and a love and commitment to their children and their ability to thrive in the world. The adults loved the workshop as well and I’m very happy it was meaningful for them to attend. However, I was a given a special opportunity to witness the ultimate support system in action right in front me – jealous that my family doesn’t operate that way right now – but encouraged that I can try and make it that way in the future. I definitely learned as much during the workshop as the family members did – and for that experience, I am eternally grateful! Once again it’s time to stop, take stock and reflect on the year that has passed – and spend some quality time thinking about the year ahead. Even more important for me is that it is also a time to say THANK YOU to the people and organizations that helped my business grow to new heights in 2016. Allow me a few minutes to give big ups and appreciation to some of the companies and groups I was lucky enough to work with and to mention some of the programs and topics that helped individuals, teams and corporations find the tools they needed to climb their individual mountains! Each year is a new opportunity for you to try different things, improve your skill set, and expand your horizons. 2016 was no different for my company as we continued to enhance our topic base, created brand new presentations, creatively modified our most popular programs and used the strength of my second book Reach YOUR Peak! Become CEO of Your Success! to reach new heights and new audiences. Thank you to the great team at Waterstone Mortgage for having me do a combination of two topics at their Annual Sales Rally at the gorgeous Rosen Shingle Creek Hotel in Orlando. They asked me to combine my Climbing Your Personal Mountains and Advanced Time Management Strategies for a unique 90 minute program which ended up being a huge hit! I got to spend some quality time in the Gainesville area last year as well and loved sharing my Climbing Your Personal Mountains topic with the terrific staff of the Gainesville Regional Utilities at their quarterly meeting – we are talking about me coming back for other meetings in 2017 because of the great response to the ideas I presented. Also in Gainesville, I got see my good friend Joe Johnson of the Chamber and he had me once again speak to his outstanding Connect jobseeker group, for the 8th time – must be doing something right! Staying with that job seeker theme and two of my most popular topics – VOWELS for Jobseekers and Advanced Networking Strategies – I was privileged to share that info with the Jax Chamber’s New Path group (for the 10th time), CareerSource Professional Network group, the Blue Star Families military transition event (for the 4th time), the Savvy Job Hunters Network (for the 4th time), and the Crossroads Career Network group (for the 7th and 8th times). I was excited to share a brand new topic on leadership (Authentic Salesmanship: Focusing Managers on What REALLY Matters!) with the Association for Talent Development Annual Event at UNF– my second year in a row to present at that terrific gathering. I adapted one of my popular topics (Are They Hearing What You Said – or Something Completely Different?!) for another leadership event, this time at The H.I.L.L.’s Leadership Development Series at Nova Southeastern University and got rave reviews for the mini-workshop I created for them. A trip to Tallahassee was where I got share my Advanced Time Management Strategies topic with the Meeting Planners International of Northeast Florida, and we are talking about how I can help other MPI’s across the country with some of my programs. Another road trip to Fort Myers lead to me presenting a new topic about the Ever Changing World of Advertising to the Southwest Florida Attractions Association – they loved it and that exposure led to some great corporate training events for me in that part of the state. I was also humbled to be included in the Hardy Administrative Professionals Conference at UNF for the second time, this go round as the main keynote speaker. I shared a version of Climbing Your Personal Mountains tuned to the needs of the 300+ admin pros in the audience to great reviews. This event was unique in that the first 100 folks who signed up for the event received a copy of my Reach YOUR Peak book, and I was happy to sign as many as possible before and after the session. The Beaches Division of the Jacksonville Chamber had me in to speak at their Business Growth Series in Ponte Vedra Beach, and I grabbed their attention with my Are They Hearing What You Said topic – I received great feedback after the event and many calls in the weeks following asking for advice in using the info I shared in day to day business operations – very gratifying! I always love speaking to Rotary Clubs and I got to see two tremendous organizations this year in the Rotary Club of West Jacksonville and the Rotary Club of Mandarin. For each one I did a slightly different version of my Climbing Your Personal Mountains topic and the info resonated well the attendees, leading to several corporate training sessions. Once again, to all the folks I got to work with this year – thank you, thank you, thank you! I am humbled by your support and your trust in the programs and topics we provide. 2016 was a great year…now it’s time to go out and make 2017 even better. I hope to see you at an event soon! What Does Planning Mean to You? Fall is often the time of the year that businesses across the country, large and small, complex or simple, each engage in a similar activity – planning for next year. The word “plan” is thrown around a lot and is used in various euphemisms…”Fail to plan or plan to fail”…”If you don’t have a plan, you don’t have a clue”…”A dream is a wish tied to a detailed plan”. The definition of the word plan is interesting and revealing: “An intention or decision about what one is going to do – a detailed proposal to achieve something”. Hmmm….so planning is really just crystallizing your intentions, putting them down in writing, and then making decisions based on your desired outcome. Sounds simple enough – but the flip side of this word is pretty scary… the absence of planning means no intentions or decisions about the growth of your business – no ideas to review to help set goals or mile markers – no checklist of do’s and don’ts to guide your path in the year ahead. Regardless of what you think planning is – your business needs it and you need to take action now to form a solid plan for 2017. If you are struggling with creating a living, breathing, detailed plan of attack for next year, we should talk soon. My “SWOT 2.0 – The Ultimate Analysis and Action Plan Tool!” workshop is the perfect remedy for your situation. This session is done either on site at your business or off site at a hotel or meeting space, and runs either 4 hours (half day) or 7 hours (full day). You may have done a SWOT before, but not like this one! We dive deep into each Strength, Weakness, Opportunity and Threat of your company, develop Action Steps based on those results and then run those Steps through the SMART goal methodology. The result is a detailed Action Plan with tasks assigned to specific team members or managers with agreed upon completion dates. This Action Plan will form the basis for your 2017 annual plan and will help drive the activities, milestones and results for your company month by month, quarter by quarter, and for the entire year. The investment is nominal compared to the results you will achieve. Learn more about SWOT 2.0 on my site at www.BradRaney.com on the Sales, Leadership & Management page or contact me at 904-343-0169 or Brad@BradRaney.com. It will be time well spent for both of us! Living Urgently Without Being Frantic! Today is the beginning of my 55th trip around the sun and this one has a bit more meaning than some in the past. I guess special birthdays started for me at 6 – old enough to go to school on my own all day. Then we got to 10 – double digits! – and all the “what a little young man you’re turning into” talk started. 15 was a big deal – learner’s permit, high school, college talk started. 16 of course is huge – driver’s license, independence, huge jump in the level of decision making needed to survive. After that I guess 18 was cool – in college, old enough to drink (back in 1979!) and vote. Reaching 21 was fun – right of passage, “now you’re a man”, deeper responsibilities. For me 25 was awesome – I started to get respect for having a level of knowledge that others would listen to but I was still young enough to believe I was invincible. 26 wasn’t that great – my Dad died from a massive heart attack. At 28 I married the woman God gave me (just celebrated 25 years together earlier this year) and life really changed in depth, meaning and importance. 30 is a big deal for most guys and it was for me too – I bought a car to celebrate – typical male reaction to getting older! At 35, we had our first child, my daughter Savannah and that was one of three epiphany moments in my life. My son came around when I was almost 39 and completed our family – also made me take a hard look at the values I wanted to pass on to both of the kids as they grew. 40 was good to me – I enjoyed still feeling very young and energetic but now having some “sage wisdom” to share with co-workers, friends and family. I turned 50 and realized that it was time to start another business and that “I wasn’t getting any younger” but my dreams weren’t going to get any closer. I decided to focus my efforts on my spiritual gifts of writing, speaking and empowering those around me to be the best they can be and used those pillars as the foundation of my company. I also realized at 50 that men in my family don’t live that long – my Dad died at 60, my brother at 57. I am much healthier than either of them but just giving myself the internal goal of making it to 61 was a wake-up call. This summer I had another kind of wake-up call, this one with a lot more impact. After feeling run down and not recovering as fast from sports and tough yard work, my wife pretty much made me go to the doctor for a check-up. I found that I was anemic (iron deficiency anemia) but the lingering question was why. After weeks of tests and analysis, a colonoscopy revealed a small mass in my colon – it turned out to be cancerous and surgery later removed the tumor from my body. My prognosis is very good although I will still have to do some preventative chemo and lots of follow up tests, exams, scans, and more pretty much for the rest of my life. By the way, all of this could have been prevented with a colonoscopy at 50 – if you haven’t had yours, get it done immediately! The real eye opener in this process were the numbers that started to appear in my life in a brand new way. “8” now meant my red blood count – when it should have been 13-17. “5” was now the gold standard for another group of words I had never associated with me before number of years of survival after a cancer event. “80-90” represented the percentage of folks who survive my type of cancer for at least 5 years. “40-50” now means the percentage of people who have some kind of recurrence of my cancer after 5 years. “12” is now the number of chemo treatments I’m facing to try and improve those recurrence odds. We have numbers in our lives every day. If you drive to work, there’s a percentage chance that you will be injured or killed in a car accident – it’s pretty small, but it’s a real number. The same type of number applies when you board a commercial airline flight or hop onto a commuter train. My daughter is on a college campus every day now and unfortunately there’s a tiny number associated with her campus dealing with a shooting or lock down. If you smoke (and please STOP if you do! ), you have a whole set of odds on a chart that are not positive the older you get. There’s a percentage associated with the number of shark attacks, lightning strikes, random violence, accidents in your home and even meteors falling from the sky that could affect any of us at any time. The purpose of this blog is not to depress you or scare you into never leaving the house. The reason I’m sharing my story is help you understand that to really flourish in your personal and professional life, you must live urgently but not frantically. Focus on your goals, hopes, dreams and aspirations – give them real life, not just some wishful quotes on a page. Surround yourself with positive people and BE one of those positive people to others around you. Stand for something you believe in and encourage others to do the same without discounting or demeaning others that believe something different. 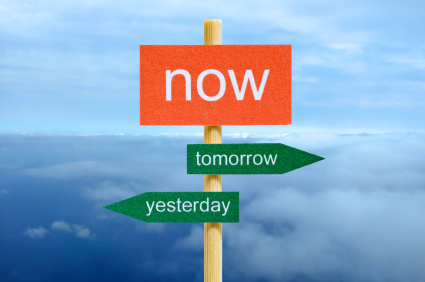 Live for this day – Each Day is a Gift – and plan for tomorrow and other days to come…but don’t spend time worrying about possible outcomes or pitfalls. Live with the passion you’ve been gifted and be a light of inspiration to those around you – your spouse, children, friends, co-workers, acquaintances, and even strangers. Live with the urgency that we all have a clock ticking somewhere on our lives – don’t panic and ruin the day you have with fear and trepidation about future unknowns. Hear the clock – but let it motivate you, not paralyze you. I told my wife last night that my plan for the next 5 years has changed and that I’m focusing on doing the most I can, the fastest way I can, and the best I can, given the days I have left. I may live 40 more years (my Mom is 87 and members of my family have lived well into their late 90’s) or I could get hit by a bus this afternoon. However, hearing a phrase like “5 Year Life Expectancy Rate” and now associating it with my life has given me a new level of purpose, dedication and I’ve even raised my lofty goals to new heights – because within that 5 year window I am going to work harder and love what I do more than I ever thought possible before discovering my health challenge this summer. My birthday wish is for you to do the same thing. Run your life through the passion prism that you already own. Focus on the positives, live loudly, love proudly, and help others along the way. My Dad always told me to do three things every day – something for yourself, something for someone else and something needs doing. I have written blogs on this philosophy which I dubbed The Daily Three. Well, my Daily Three just got a lot more urgent…but I’m not getting frantic…I’m getting focused and ready for the fight. I hope you’ll do the same! Real World Impact from Reach YOUR Peak! Normally, I don’t use my blog space to brag or boast about my activities. 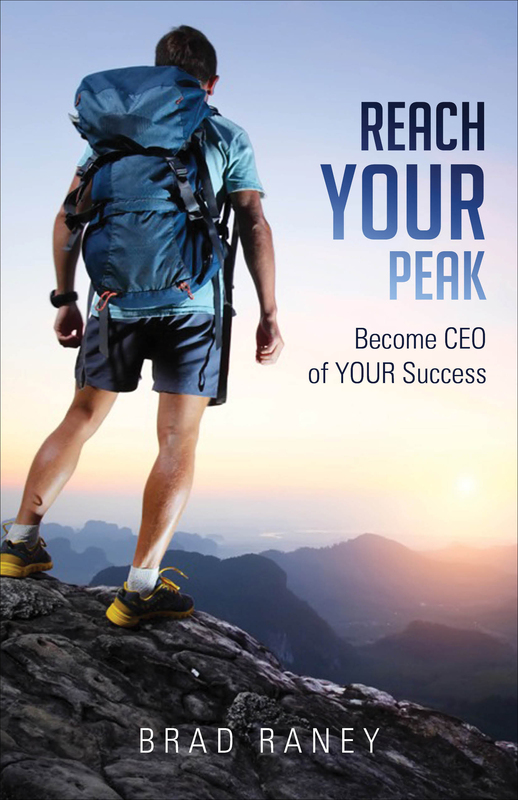 However, after a sales leader in Texas recently responded so positively about my new book Reach YOUR Peak! Become CEO of Your Success! I had to share it with you. Her passion for the tenets of the book and her usage of the book as the basis for an upcoming sales summit is EXACTLY why I wrote RYP! During a recent phone conversation with her, she told me the story about how she first heard about me and the book. She is the director of sales for a large publishing company and covers a large region in Texas that includes lots of driving. On a recent trip between Austin and Lubbock, she was listening to podcasts that she’d recorded and one of them included me as a guest on the BE Culture show. (This show is produced in Houston and the guys I worked with on the program are top notch!) She said that when she heard me ask the question “Are you working to survive, or are you working to succeed?” she did a double take, pulled the car over and backed up the recording. She then started listening to the discussion more intently and taking notes while parked on the side of the road. I do want to share with you how very impactful your book was for me and I was delightfully surprised even more the personal impact which in turn is impacting me professionally as well. I have had a successful track record at work, but unfortunately intensity was only intense in one of my three areas and your words have put into my mind, my heart and my actions MY OMT (one more thing) of being more balanced for my husband, two sons and the idea that it is ok for me to relax and rest, so thank you! All I can say is WOW – I’m humbled, thankful and happy that my work, and this book in particular, can have that positive an impact on not only a sales organization, but on the personal relationships that surround it. The way she planned her summit with the book as one of the focal points is spot on for what I imagined when I created RYP. The book has 16 chapters but it’s really 16 mini-workshops because it utilizes To Do Lists at the end of each chapter that involve more interaction, even some 360 degree views, with the reader. Each chapter builds on the one before, like building a house from the ground up. Using RYP as the foundation for a sales training event, series of meetings or the main focus of a summit will yield great results – just like the DOS in Texas did with it! If you manage a sales team, own a business with a sales force, or are a sales professional looking to move to the next level in your career, you should read and consider using RYP in your next training session or meeting. There are blogs on my site about every chapter of the book, so check it out and if it makes sense, then let’s have a conversation about to putting a program together to help you and/or your team truly Reach their Peak!